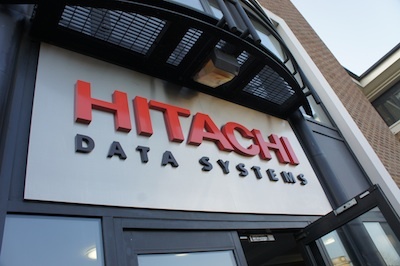 Global data storage solutions firm Hitachi Data Systems (HDS) has opened its Kenya office, to serve the East African region after realizing a strong market share in Southern Africa and a growing presence in West Africa. Hitachi is not new to Kenya as it has been working through its channel partners over the past three years however, with huge potential for growth and increasing interest in its cloud, data storage and secure collaboration solutions from customers in the region, the firm has decided to establish a permanent office in Nairobi to support its channel partners in Kenya. Shaun Barendsen, HDS General Manager for sub-Saharan Africa said,” The Kenyan office is headed by Aiyaz Shroff, Regional Manager – East Africa together with a core team of local resources including sales, pre-sales and engineering staff. The team will be backed by skills from South Africa as well as resources from the wider HDS community that is represented in over one hundred countries globally, while the continuous up skilling of channel partners in the country will also be a core focus. The new office will run HDS operations in the region and work with partners and customers, to present work-through solutions and additional training and support. The firm’s focus in the region has been on the financial and telcos sectors to date, but that large enterprises across verticals can derive value from the solutions. “We are seeing increasing demand from enterprises across Africa for solutions that enhance management of the data centre environment and allow enterprises to discover, analyse and realise more value from their data. The key issues for African data centres are much the same as they are globally – to drive down complexity, reduce cost and get more value from the stored data,” said Barendsen.